An rpg file extension is related to the RPG Toolkit and used for its RPG programming language files. The rpg file extension is related to the RPG programming language used by RPG Toolkit an RPG games development tool for Microsoft Windows. The rpg file contains data written in the RPG language. Use RPG Toolkit to open *.rpg source code files. Programs supporting the exension rpg on the main platforms Windows, Mac, Linux or mobile. Click on the link to get more information about RPG Toolkit for open rpg file action. 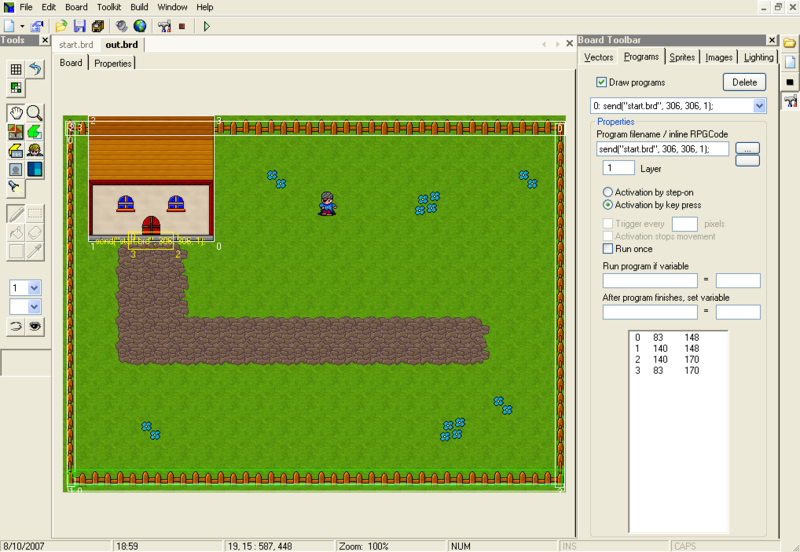 Programs supporting the exension rpg on the main platforms Windows, Mac, Linux or mobile. Click on the link to get more information about RPG Toolkit for create rpg file action.